A CSA (community-supported agriculture) has you pay a certain amount up front for your share of that season’s crops. Vegetable, fruit, fish, meat, and grain CSAs are all available in the greater Boston area. Some deliver; others require you to pick up. You don’t get to choose what’s in your share, but the overall dollar value of the share typically exceeds what you pay for it. Find a CSA near you at Local Harvest. Produce costs less when it's abundant, so it helps to keep track of what's in season and menu plan around seasonal produce. Preservation can be as simple as freezing (e.g., I puree and freeze tomatoes) or you can try canning or dehydration (perfect for those who like fruit leather or dried apples). Ask about the growing season. Get recipes. If prices are high, buy only specialty items and tastes of new foods. Another benefit? Booth displays can tempt kids to try foods they might otherwise ignore! Use Local Harvest to find a farmer's market near you, and here are links specific to Massachusetts farmer's markets. Small farms and orchards might not have extra staff for markets, but they want your business at the farm stands and pick-your-own days. From a parenting perspective, what's been particularly great about committing to eating local is that my kids see that food is produced by real people. They're starting to understand the basis for every economy in the world and are eating more fruits and vegetables thanks to meeting the growers. 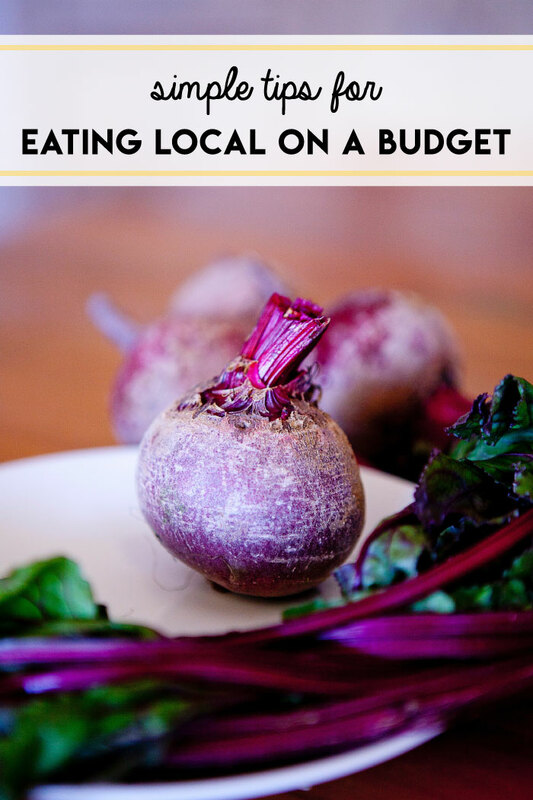 It really is possible to eat local on a budget! One key tip is to eat seasonal produce.